What's the Best "Yep, I'm an Alien" Coming Out Scene? Sometimes when you're an alien or a monster, you have to just have to come clean about it and tell your friends. Sometimes hilarity ensues — and sometimes lots of bite marks. What's your favorite alien or monster coming out scene in a science fiction or fantasy story? Tell us what the story is — it can be a movie, comic, game, book or TV series. And include a picture or video with it, just to entertain us. 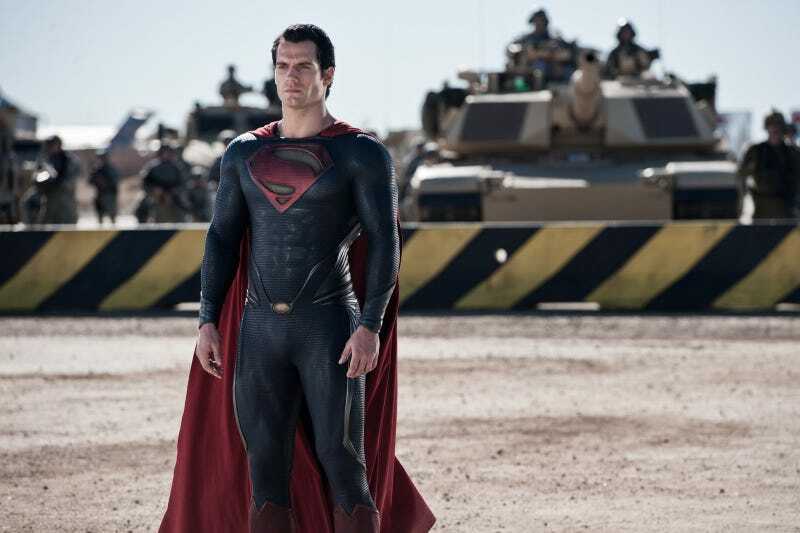 My pick would be a scene from Man of Steel, where Zod has demanded that Superman show up. Only a few people on Earth even know that an alien has been living among them. And so Superman puts on his nifty suit, zooms over to Zod's spaceship, and just hovers in the air waiting to talk to everybody. If you're going to come out as an alien, that's the way to do it.